Overall this years yield was pretty pathetic, especially given how great everything was doing at the beginning. The mice and birds took at least 50% of the Conlon so I only ended up with 10 lbs. 7.5 oz of this variety. As soon as the seed heads came close to the ground they would take them. Also when I tied them together in an attempt to stop them from falling over I gave the birds a nice place to perch while they stole more grain. 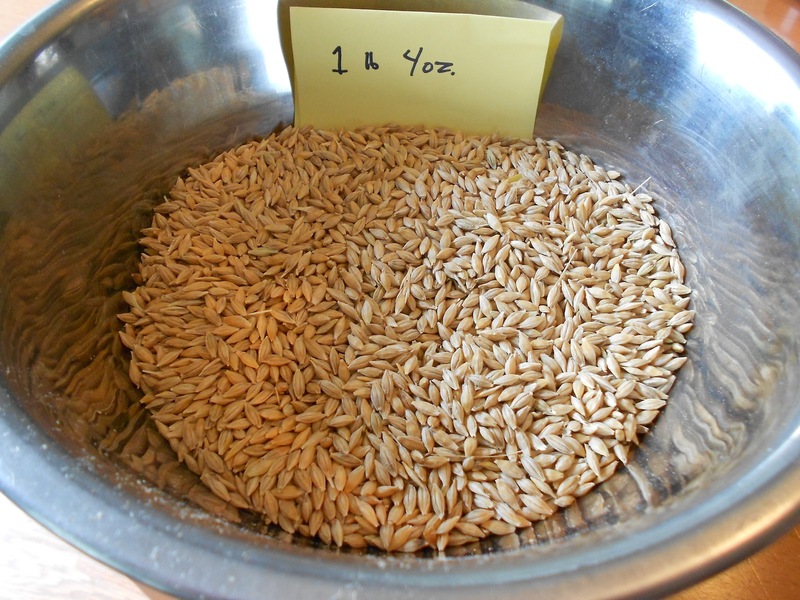 There is some good news though, I had great success with the Maris Otter, in fact that small little packet of 130 seeds yielded 1 lb 4 oz of grain, enough to plant all 6 beds next year. The Robust also did really well and yielded 4 lb 12 oz from the one 4×10 ft bed. Even though there were a lot of stalks that fell over the mice and birds didn’t touch any of it. I can only guess as to why they left it alone. 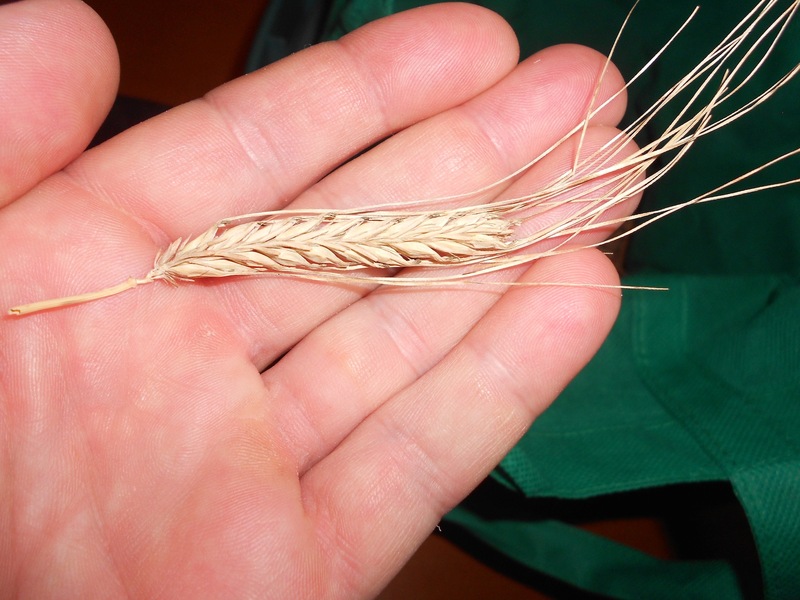 I think since it is a six row variety the long hairs at the ends of the grain discouraged the mice. In 2 row barley these hairs and grain only come out the sides of the seed head but in a six row the grains and their hairs surround the seed head and they are kind of prickly so perhaps this gave the Robust some added protection. The total yield for all of the varieties was 16 lbs 7.5 oz. from 240 sq. ft. of garden. If the Conlon had not fallen over I probably would have at least 10 more pounds. Oh well, there’s always next year. The Golden Promise didn’t do so well in the pot. The stalks were very thin and weak and the seed heads just didn’t develop. 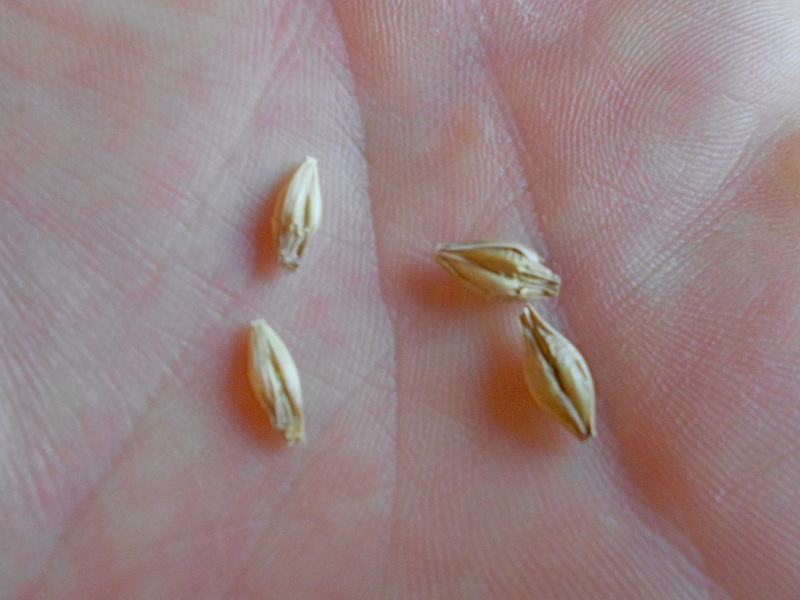 You can see in the picture the grains are half the size of the Conlon barley. I didn’t even bother threshing these, there were just too few and too small. I’m not sure why it’s taken so long to use the remaining malts I still had, in a brew. I hate to say it but I kind of forgot about them. I only had a few ounces of each so I thought I’d throw them all into one brew and call it a brown ale. The resulting beer is fantastic. It has a very toasty character and a strong hop bitterness. It’s not a subtle beer, it’s got a lot of flavour but it’s slightly tempered by the soft foam which lingers on top. The base malt and the dark caramel are store bought but the rest of the malts used are mine. 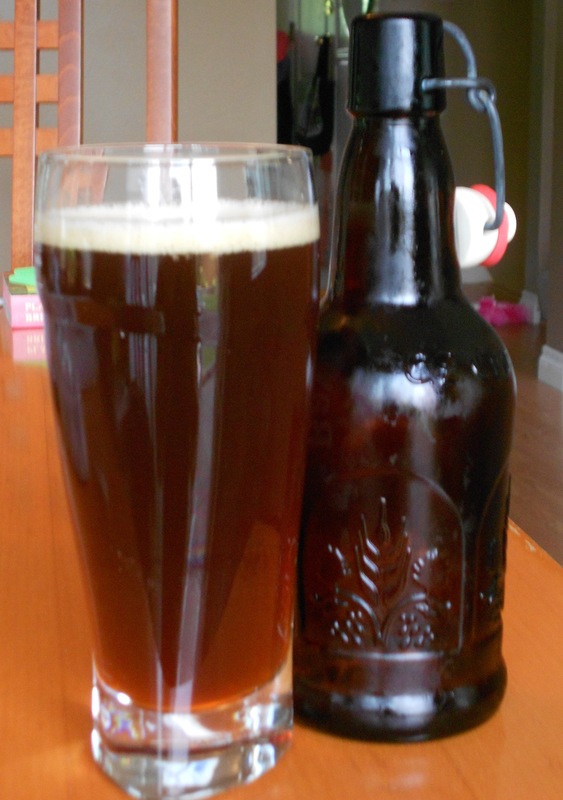 I included this beer in this blog to show that growing and making your own specialty malts is well worth the effort and may be a more realistic option for most people with limited garden space, including myself! 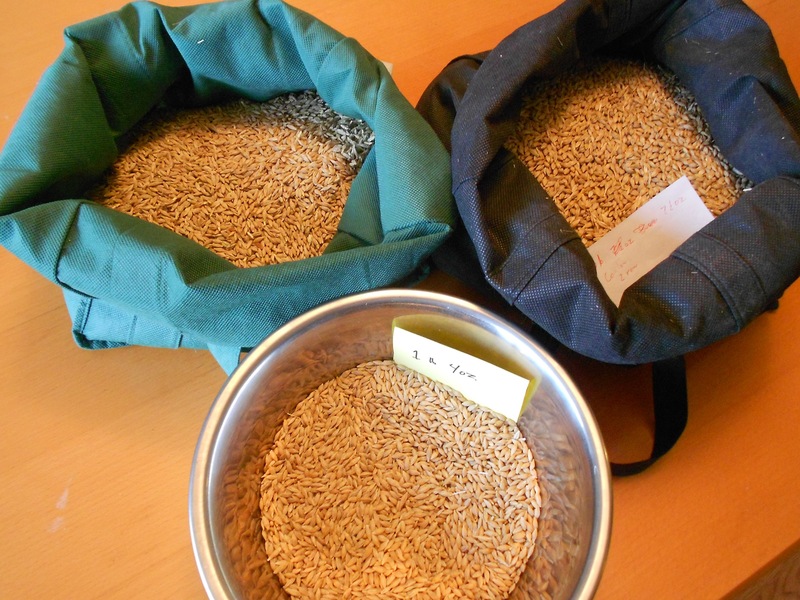 I had planned to make only specialty malts out of my barley this year but a challenge has been made – to make an authentic diastatic brown malt and to use this malt to make an 18th century porter. More on this later.